We have been to Roxies in Wimbledon a few times, always delivers a great meal. Forget Marco Pierre White’s Steakhouse, this is by far superior in food quality and customer experience... my favourite place to eat (visited 5 times in 2 months and never disappointed). Steaks have always been cooked to perfection! The best steak we have ever had!! Absolutely faultless! Love the starter of padron peppers with steak too. Really lovely atmosphere, friendly and professional staff. Can't wait to go back! Tuesday was my second visit, having experienced both a lunchtime and evening service. Was extremely impressed with both. 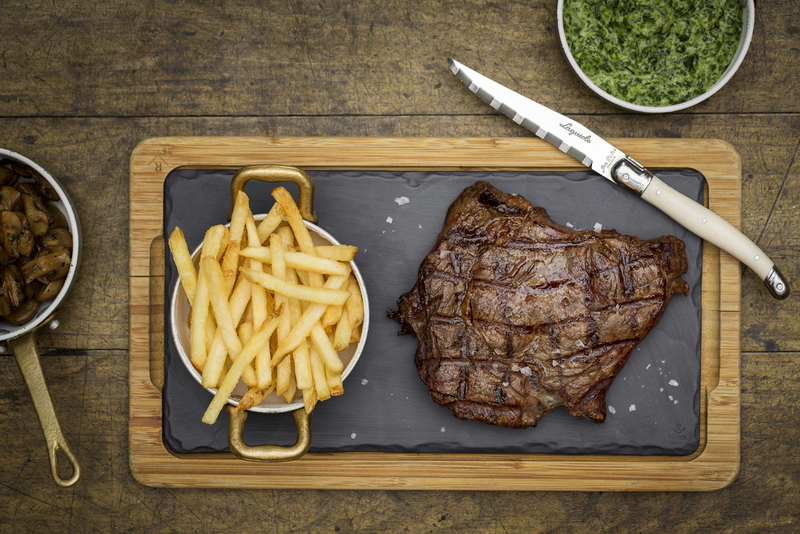 Steaks cooked perfectly to order and service excellent on both occasions. Have already recommended to friends and will be back. This was our first visit and i must say we were delighted with the whole experience. The food was really good, best steak I've had in a long time. Food was incredible - especially the starters (calamari and prawns/chorizo). Great service and very welcoming to our one year old. Love the vibe inside - so much more spacious and comfortable than it looks from the outside. Highly recommend. pretty uninterested waiter, verging on rude. Doesn't compare to Putney branch- won't be back. Food was good. However I spent the night after being at the restaurant being sick. Don’t think it was the food as I had the same as my family. I’m guessing I picked up a bug from the ladies toilet as it was not in the best state. Such a shame as it spoiled which was a nice evening. It’s my second visit as I really enjoyed my first a few weeks ago and it was all great except that I had the largest fillet steak again and I was disappointed by the size - it was half the size of my companions who had the same cut and definitely not worth the price. Excellent food and service. Casual vibe and super friendly staff. Excellent food, steaks both cooked to perfection. Lively atmosphere. The usual Roxie quality in a great space. Busy in a good way. Our first time there and we were pleasantly surprised. The staff were brilliant and the steaks we had were seriously good, some of the best we've had!! Will definitely be going back, soon we hope!! Great place to meet friends for drinks and dinner. Lovely food, great service. Slightly loud and a bigger gap between starter and main would have been better. Fabulous place!.. great food and will come back again and again! The waiter who served us was absolutely superb, so friendly and helpful. Nothing was too much trouble. The food and service is fantastic, which is why I keep coming back and recommending. One of the best steaks anywhere. A very special evening we loved it !